The name Nike is inspired by the name of the Greek Goddess of Victory - NIKE. N150 No Limits is a refreshing fragrance for the man who loves living on the edge. Doesn't shy away from taking risks and pushes the envelope. Spray it on and smell the scent of success! 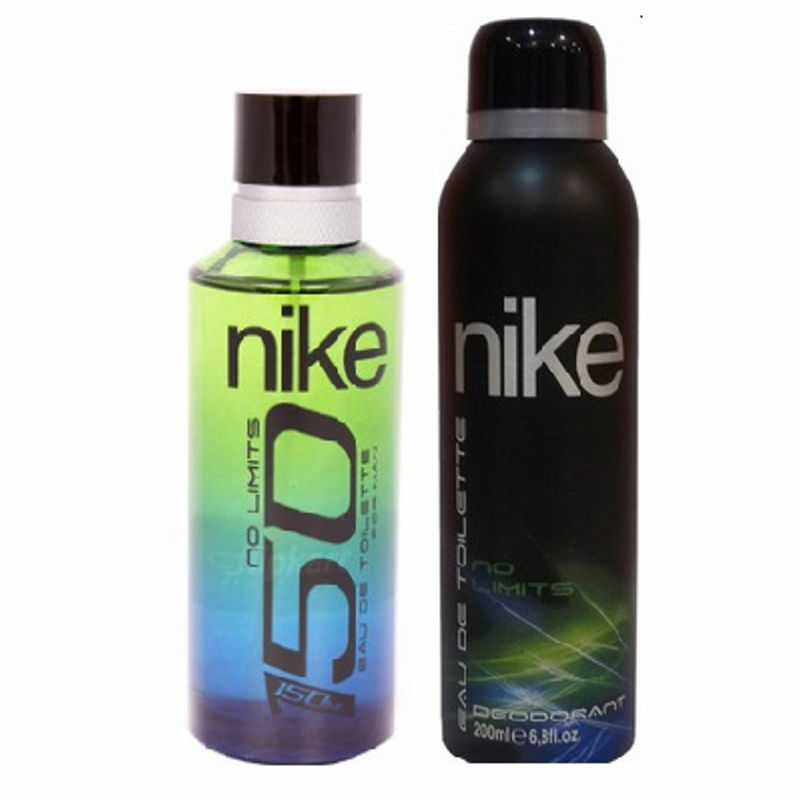 Nike 150 No Limits Gift Set (Edt 150ml + Deo 200ml) is an ideal gift for the confident modern man.